Let the campaign begin in Basalt. Opponents and proponents of a Nov. 5 ballot question on a $5 million bond issuance emerged Tuesday. Jim Paussa said he is part of an informal group that will work to defeat the question. On the other side of the issue, a formal committee called Friends of the Fork registered Tuesday. Paussa said his group is opposed to the $5 million bond proposal for three primary reasons — the lack of credibility of the town government, the lack of public input on the town’s direction, and fiscal “hocus pocus” on paying the bonds back. Gino Rosetti, of Friends of the Fork, said the group supports the bond issuance because it believes the Roaring Fork River’s flood threat poses a legitimate danger to residents of the Pan and Fork Mobile Home Park. “I don’t think anybody wants to be responsible for that kind of disaster,” he said. The outcome of the town’s proposal would be “great” for the town of Basalt because it would result in a riverside park and a possible space for nonprofits to relocate and would clear the way for potential development, Rosetti said. The group has been in touch with approximately 50 people who gave permission to use their names in an advertisement showing support for the ballot question, he said. Paussa said the opposition effort will be low-key and grassroots. “We’re going to be getting people good information,” he said. “It’s grassroots. People always make the right decision” when given the right information. Paussa contended that the Town Council’s recent history hasn’t warranted trust. “The political history of Basalt is going from blunder to blunder,” he said. That’s resulted in the town reacting to one crisis after another, according to Paussa. The latest “blunder” in his eyes was the handling of former Police Chief Roderick O’Connor’s departure. Whether a Basalt resident supported O’Connor or wanted him out, it’s apparent that former Town Manager Bill Kane either didn’t know there was a department in crisis or couldn’t deal with it, Paussa said. “When it blew up, he handed it off to an outside entity,” Paussa said. The “debacle,” which included a court battle between the town and The Aspen Times over records pertaining to O’Connor’s departure, cost the town about $180,000 to settle, Paussa said. In the election, the town is seeking permission to issue $5 million in bonds to make alterations that would ease the flood threat of the Roaring Fork River. The money also would be used to develop a park on part of the Pan and Fork site just west of downtown and raise the rest of the property with dirt and rock so it could be developed. An estimated $1 million is being spent from the town’s general fund for the relocation of residents of the Pan and Fork — the essential first step in the town’s plan. No funds from the bond issuance would be used for the relocation of the residents. Rosetti said Friends of the Fork support the vision being pursued by Town Manager Mike Scanlon and the council. “We’re simply saying that we are on board,” Rosetti said. But Paussa said the town erred by pursuing a yes-or-no vote on a plan drawn up by a small number of people. Instead, it should have formed a plan with broader input. 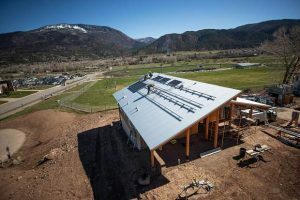 Before any vital community feedback, the town teamed with the nonprofit Roaring Fork Community Development Corp., which wants to pursue a nonprofit campus, hotel and commercial space, Paussa said. The town pursued its role without checking with its constituents, he said. He questioned whether a hotel developer will be found. Two hotels already have been approved in Basalt but never built — one east of Stubbies along Highway 82 and one in Willits Town Center. And he’s not certain the town can fulfill its stated goal of paying off the bonds without a new property tax. The town plans to foot most of the bill with revenue from an existing sales tax for parks, open space and trails. 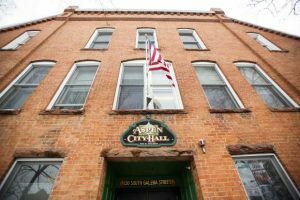 The ballot question grants permission to raise property taxes to pay off the bonds, but it states the town’s goal is to leave property taxes alone. Meanwhile, Scanlon is working on a plan to cut $400,000 from the town’s general-fund budget and keep it off. “That’s hocus-pocus, Enron accounting,” Paussa said. He questions whether services would have to be cut to enable the town to pay off the bonds without a property tax hike. “Given their history, why would we give them $5 million?” Paussa asked. Scanlon said voters should trust the town government because the plan would result in a better downtown. He said the bonds aren’t being sought to spur development that will save the downtown core. 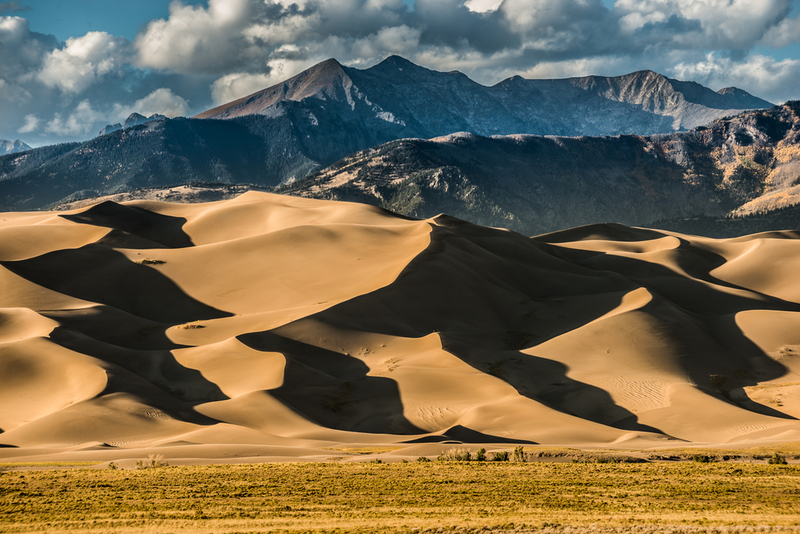 The purpose has broader benefits — relocating residents of the Pan and Fork, easing the flood threat, creating an attractive riverside park, providing a home for the Rocky Mountain Institute and potentially other nonprofits, and providing space for development. After the election, he wants town residents to decide what they want to see on the developable portion of the Pan and Fork site as well as other prime downtown property. Scanlon believes the town government also has earned trust by marching methodically toward implementing the River Master Plan. For example, it previously acquired property downstream from the Pan and Fork, where the Taqueria el Nopal restaurant is located. Scanlon also contended that the repayment plan for the bonds is solid, in large part because he is fiscally conservative. “I’m already thinking the world is going to end,” he said. Two-thirds of the annual payment on the bonds will come from the town’s sales tax for parks, open space and trails, he said. Following that, there are two or three additional layers of funding that will pay off the debt. “The chances of getting into property taxes are really remote,” he said. Town officials cannot actively campaign for approval of the ballot question, but they can present information. The town started the website http://www.fixthefork.org to present information on paying the bonds and a variety of other issues.